Grenville police have recovered 2 stolen cows and charged a St Andrew resident with livestock larceny. Junior Roberts, 21-year-old Butcher of Pearls, is due to appear at the Grenville Magistrate’s Court to answer to 2 counts of stealing. Roberts’ arrest and the recovery of the animals came mere hours after the report was filed on Sunday, 10 April. The animals which were taken from Paradise, St Andrew, were recovered in Happy Hill and Mardigras, St George. Over the past two and a half months, farmers in the communities of Dunfermline, Paradise, Conference and Pearls in St Andrew have seen an increase in the larceny of livestock. 6 cows and in excess of 20 goats and sheep are still unaccounted for. As police continue with their investigations, anyone with information that can lead to an arrest or the recovery of the animals are urged to contact the Grenville Police Station at 442-7224, CID Grenville at 442-6563, Police Emergency 911, Police Hotline 444-1958 or the nearest police station. Persons who are witnesses to the suspicious movement of animals are also urged to contact the police. Consumers are advised to be mindful of where they buy their meat as consuming stolen meat can be harmful to their health. 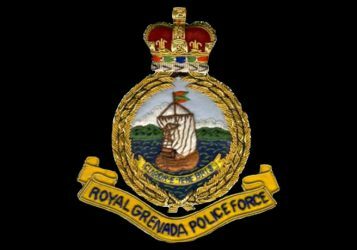 Acting Commissioner of Police Winston James highly commends the officers at the Grenville Police Station for their swift response in the matter.